The past few weekends have been great in terms of gadget enhancement in our household as a Samsung Galaxy Tab and an HP Pavilion DM1 came in. Along with that came a little reshuffling in terms of the use and allocation of computing resources came to be. The Twinhead 12 incher that my brother was using prior to his purchase of the DM1 now has moved into our aunt’s room to replace an almost choked EEE PC; that one landed with me. The original loaded operating system on it was a full Windows XP installation. Without so much as a surprise, it almost completely ate up the allocated 4GB of onboard flash memory leading the same to alert ‘disk full’ every bootup. The first order of business, after backing up several essential files which were not mine is a complete system wipe. I was going to put in Jolicloud but figured that Id like to see the Ubuntu Netbook Remix properly and so that went in there. The installation took quite a long time, probably due to the fact that the processor was a pre-Atom Intel variant and isn’t as powerful as most of the ones that are out now. It did complete however and the resulting footprint left just a little shy of 700MB from the allocated OS space. Generally the response is acceptable and browsing and word processing isn’t lacking anything at all. So if I were to use it mainly for tasks limited to the internet and typing and such, I wouldn’t be missing much except maybe for an adequately sized keyboard. 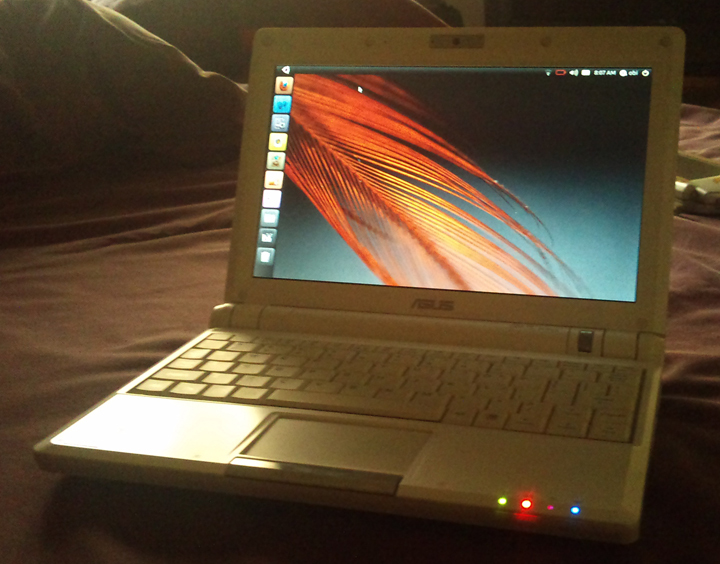 I’ve officially made that netbook travel ready and content capable, not bad for an early generation device don’t you think so? 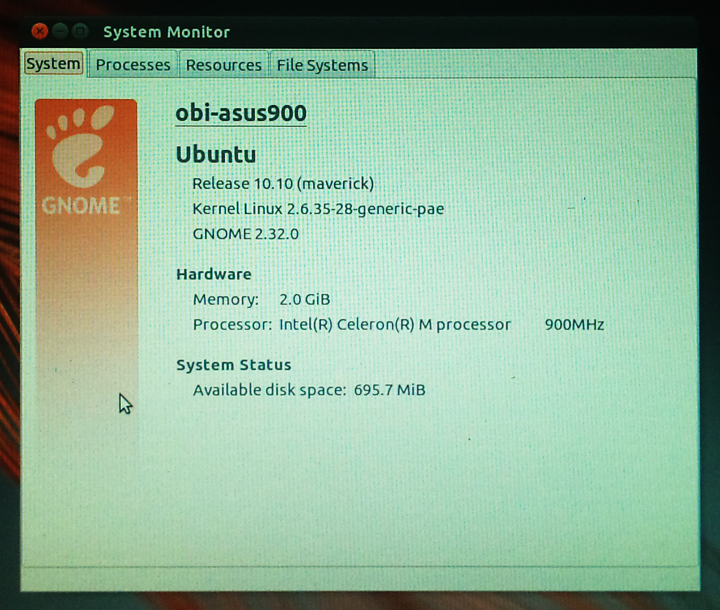 I don’t understand the OS stuff, but having tried your Linux Asus, I say it’s worth exploring. I liked the clean interface! Thanks for sharing!